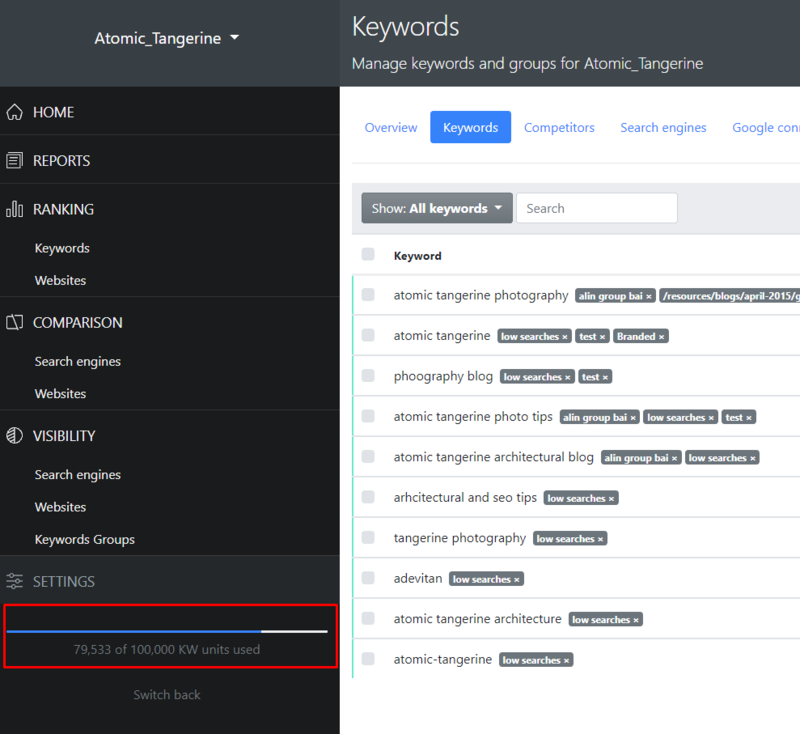 What happens if my keywords exceed the monthly units quota? You are in full and permanent control of the keyword units level associated to your subscription. You can always check your units consumption status, using the Resources bar within your account. When the keyword units consumption reaches 90% of the monthly resources available, you will receive an automatic email notification. Your account will not be upgraded automatically to the next subscription level, unless you perform the Upgrade action manually, from your Account Settings. If you choose not to upgrade your subscription and keep the account with the keyword units maxed out, the application will gather rankings only for a part of your keywords, until the maximum quota is reached.